​Arsenal legend Martin Keown has slammed the Gunners for allowing Aaron Ramsey to leave on a free transfer, claiming that Mesut Ozil should have been let go instead. After months of intense speculation that the midfielder's 11 year spell at the Emirates would be coming to an end, the Welshman agreed a pre-contract deal with Serie A giants Juventus earlier this year. 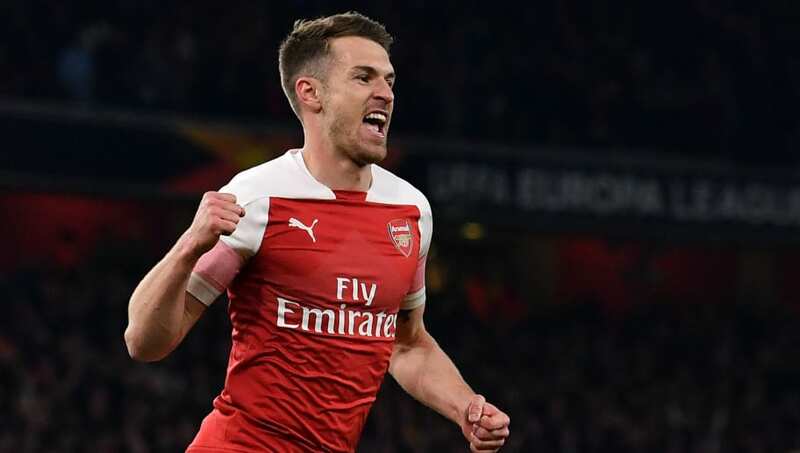 Having seen ​Ramsey deliver an exceptional performance in the first leg of the side's Europa League quarter-final clash against Napoli, Gunners legend Keown revealed that he would rather have seen Ozil leave the club. He told BT Sport (as quoted by the ​Daily Mirror): "He's at his peak and he's leaving to go to another football club. "I think he's been harshly treated. I know there's been the ​Ozil situation and if I was picking between Ozil and Ramsey, it'd have to be Ramsey. "It's a sad situation. He's a victim of circumstances. He's continued to mature as a player and develop." The 28-year-old is in line to feature alongside the likes of ​Cristiano Ronaldo and Paulo Dybala for the Bianconeri next season, with fellow Gunners man John Hartson admitting that the opportunity was too good to turn down for the midfielder. Can’t praise Aaron Ramsey enough for the way he is ending the season. I know he is a professional - and all professionals should do their job no matter the circumstance. But let’s face it, that doesn’t always happen. Ramsey though has been magnificent. How Arsenal will miss him. He said (as quoted by the ​Daily Star): "I think the ​Arsenal fans have to get over it and I think it is an opportunity for the lad. "He has got the chance to play in a great team with the best player over the last 10 years along with Messi in Cristiano Ronaldo." Hartson added: "It is a different culture and a different league altogether and a big chance for him. Technically he is very good and he covers more ground than any other player. “For me his biggest asset is that he is a goal-scoring midfielder and he should do well."